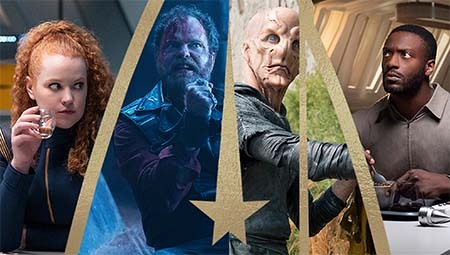 You are here: Home » FAN-ATICS » Star Trek » Star Trek Discovery (second season). Star Trek Discovery (second season). Here’s the second trailer for the season two of Star Trek Discovery, in which Young Spock goes in search of the Red Angel and some nasty visions of the end of all sentient life in the universe. Star Trek Discovery: second season. Star Trek Discovery – finale preview. Star Trek Discovery: first trailer. Star Trek Discovery second trailer. « The Caged Queen: Iskari book 2 by Kristen Ciccarelli (book review).